We offer an exclusive range of traditional and contemporary stone fireplaces. The exclusive natural stone fireplaces whether it’s Marble Stone Fireplaces, Sandstone Fireplaces, Limestone Fireplaces, or granite Stone fireplaces raise the value of the home and add a visual element to the entire setting. We offer an exclusive range of traditional and contemporary profiles. The exclusive natural stone profiles whether it’s Marble profiles, Sandstone profiles, Limestone profiles, or granite Stone profiles raise the value of the home and add a visual element to the entire setting. We offer an exclusive range of traditional and contemporary Slate Mosaic. Mosaic and pattern are broadly used for indoor decoration and bath room etc. Which is very popular in North American and European market . Our company provide the quality slate mosaics. We offer an exclusive range of traditional and contemporary sandstone Mosaic. Mosaic and pattern are broadly used for indoor decoration and bath room etc. Which is very popular in North American and European market . 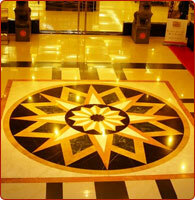 Our company provide the quality sandstone mosaics. Marble Mosaic add beauty and function to any design project. 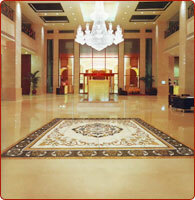 Marble Mosaics can be used for all commercial or residential applications. Marble Mosaics are available in many different finishes and sizes. The most common finishes you will find are Polished Marble Mosaics, Honed Marble Mosaics, and Tumbled Marble Mosaics. There are other finishes available also. We offer an exclusive range of traditional and contemporary Slate Mosaic. Slate mosaic and slate pattern is very beautiful by their various colour, style of inlay, and patterns. Mosaic slate can be used for renovating and installing on wall, indoor or outdoor place will be fine. There are other finishes available also. We offer an exclusive range of traditional and contemporary inlays. Marble inlay is the same art which has been used on the walls of TAJ MAHAL built by Shahjahan in 1653 in Agra (India) and also in other Mughal monuments. Lapis lazuli, Onyx, jasper, cornelian have been combined with marble of various hues to create designs of unsurpassed elegance. Decorative and architectural mosaic borders bring a design to life. Using natural stone & glass mosaics provide a unique and eye catching element through the use of decorative relief tiles. We offer an exclusive range of traditional and contemporary Mosaic Borders. Our Mosaic Borders are Ideal for Flooring, Kitchen Areas as well as the Bathroom. Our sandstone mosaics are sold in various sizes, ready to install. We offer an exclusive range of traditional and contemporary sandstone Mosaic. Sandstone Mosaics can be used in your kitchen and bathroom on your floors, walls, backsplashes or shower and bath stalls. We offer an exclusive range of traditional and contemporary sandstone articles. We offer high quality sandstone articles.Our range includes stands, flower vases, ralIngs, garden furniture, bowls and net panels. These are available with us in various colors such as yellow, green, pannaava white, sagar black and rithi red.